BALTIMORE, MD (January 14, 2018) – Absolute Fire Protection, Inc., a fire protection contracting and engineering firm, founded in 1989 by Daniel Mathias and Larry Cate, has signed a lease with St. John Properties, Inc. for 13,500 square feet of space within the Rt. 450 Business Park in Annapolis, Maryland. 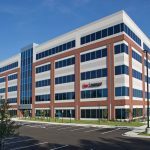 The company, which services the residential, commercial and industrial real estate and construction sectors, intends to relocate its corporate headquarters and more than 100 employees to 445 Defense Highway in early 2019. 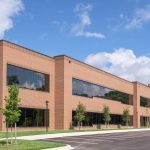 Included in the move is AFP’s affiliate company, ASE -Absolute Systems Engineering, a full-service electrical contracting company. Absolute Fire Protection, together with its affiliate company Absolute Systems Engineering, provides a wide spectrum of services including: fire sprinkler design, installation and maintenance; fire alarm design, installation and maintenance; high efficiency lighting retrofits; solar power installations; and full-service electrical contracting associated with new construction, residential, commercial office and industrial buildings. The companies serve throughout the Maryland, Northern Virginia, Washington, D.C. areas. Rt. 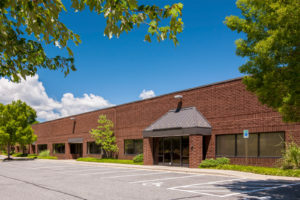 450 Business Park, a two-building business community containing more than 63,000 square feet of Flex/R&D space, is situated near the intersection of Interstate 97 and MD Rt. 50. 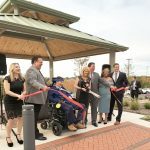 It is located less than five miles from downtown Annapolis, approximately 20 miles from Baltimore and less than 30 miles from Washington, D.C.